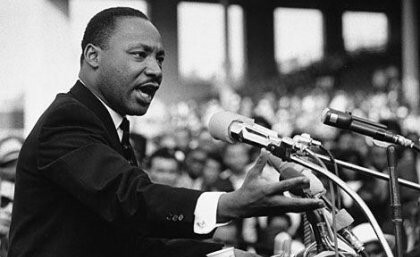 Today marks the 50th anniversary of the assassination of Dr. Martin Luther King, Jr., one of America’s most influential heroes. This tragic anniversary will be commemorated with events and speeches across the nation, but it’s also a time for quiet reflection. Dr. Martin Luther King Jr. strove for empowerment and social change through education, discussion and non-violent protests. He drove transformational change during his lifetime, but the battle for equality he fought still continues. Our country still struggles with inequity and inequality, especially in the Atlanta region we call home. The income and opportunity disparities faced by communities across our region are stark and unconscionable. The unfortunate reality is that Atlanta is no stranger to plummeting prospects for the next generation of Americans. The Community Foundation is focused on continuing this battle, with work through our Impact Areas and Spark Opportunity Giving Circle. Dr. King was a spark of change. Today, we can all be inspired by his legacy. We can commit an act of kindness or give of ourselves through service. We can continue to fight for equality and equity for all. We can be the change that we want to see in the world. If you seek a moment of shared reflection in Atlanta today, there are many places and nonprofits that can help you. Visit The King Center to learn more about the legacy of Dr. Martin Luther King, Jr. While there, get a glimpse of his life as a father, pastor and scholar by viewing the King papers. The Center for Civil and Human Rights is offering free admission and extended visitation hours, courtesy of FedEx. For a list of commemoration events, visit mlk50forward.org.